I love my morning cup-o-joe. I mean ♥LOVE♥ it. To add to this simple indulgence I made a pretty mug rug, complete with poms. Fabulous. Now if only I had a lemon poppy seed muffin to go with it, every morning...yum! 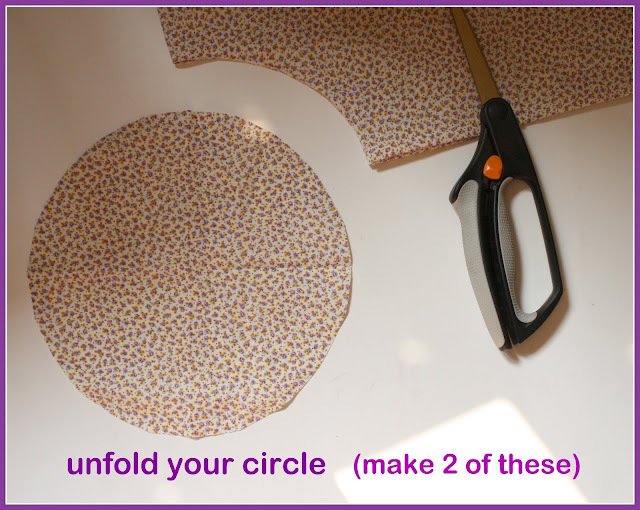 Cut two fusible fleece circles to iron on the back side of your fabric circles. 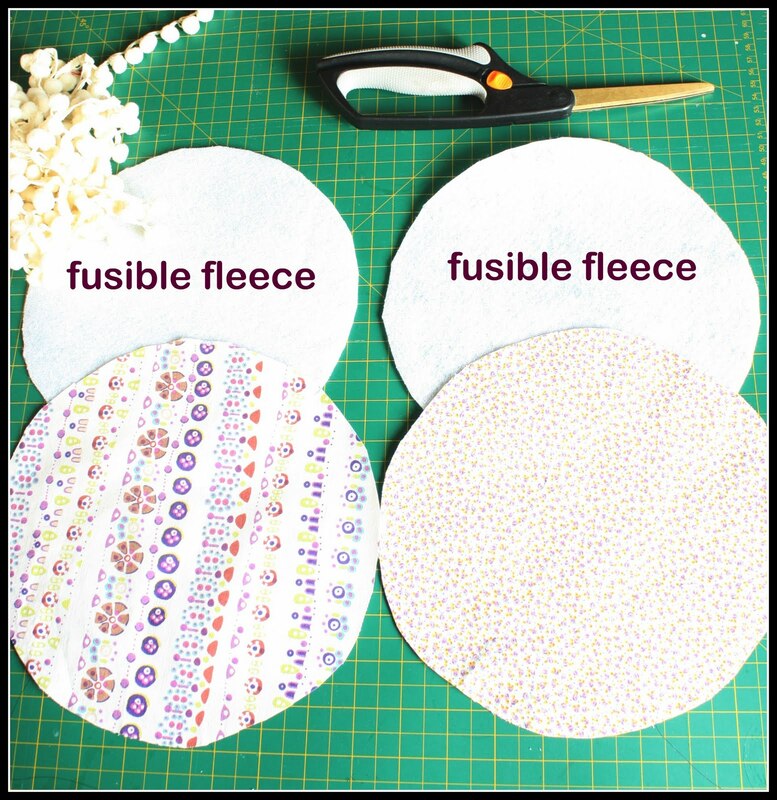 (Not sure what fusible fleece is or where to get it? Check HERE. 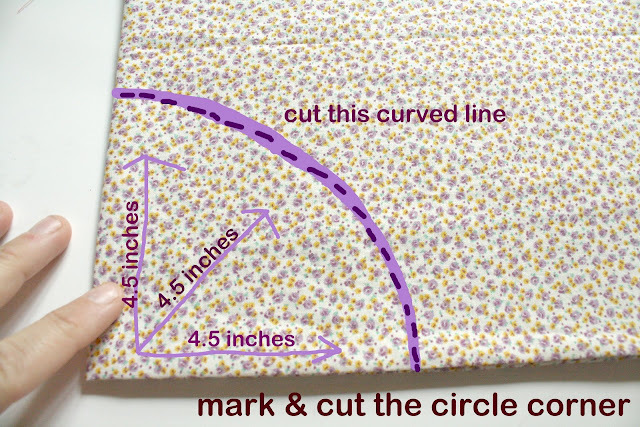 OR you could use regular batting, but you'll need to sew it like this: batting on bottom, circle fabric right side face up, circle fabric right side face down. A different kind of sandwich. They say a zipper foot or cording foot works best, but I didn't do that here. Only sew the trim to one fabric circle. Remember to attach it RIGHT sides together---because it will flip over once you attach the other circle. Place the two circles right sides together and pin. Sew around the edge leaving a 3-5 inch opening for turning out again. Sew outside (or inside depending onhow you see it,) the previous seam from attaching the poms, so that it won't show when turned out again. Pink around the edges. This is my shortcut way to clipping notches around a curved edge. 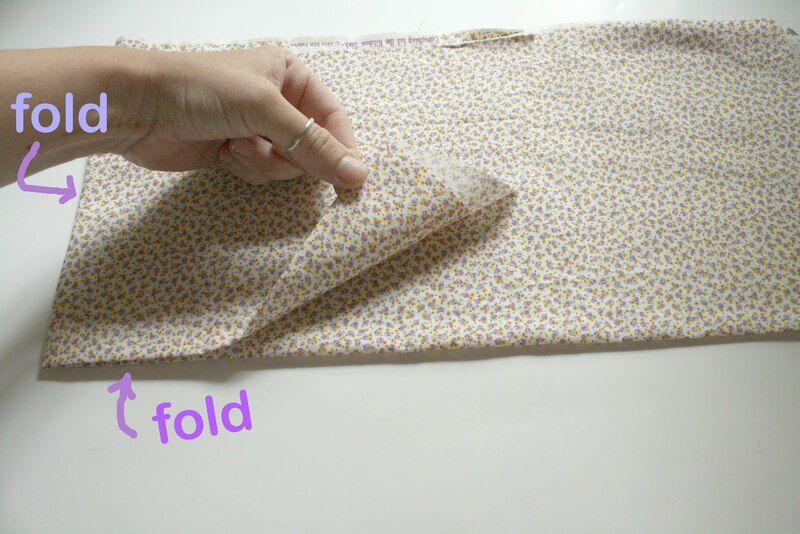 Heck of a lot easier, and I don't risk clipping into the seam. Turn out through the hole. Press. Topstitch the edge, catching the opening as you do. "Quilt" the inside however you choose. Where do you get all your ideas from? This is a really qute one! And the pom-pom trimming just made the little extra! Love this! I love those pom poms, too--it really adds a punch!